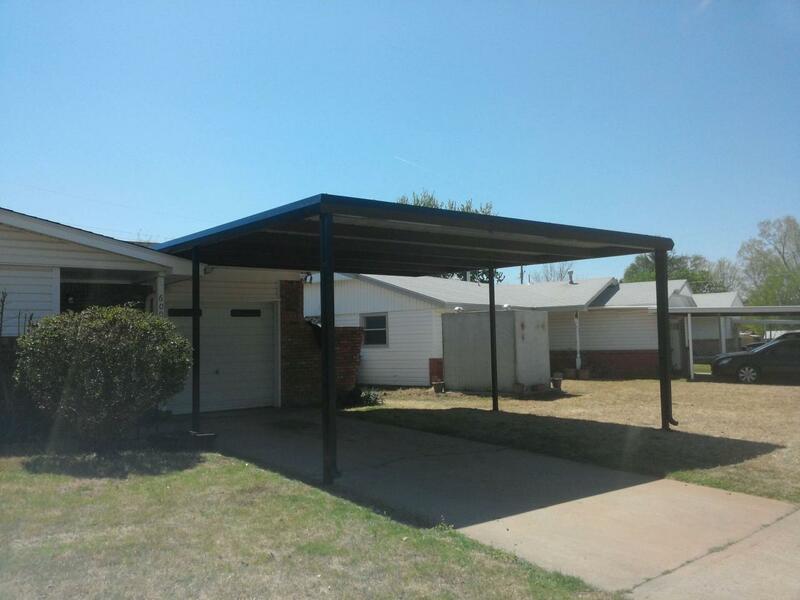 OKC Carports - Carports & Metal Buildings. Oklahoma City, Midwest City, Del City, Moore, Norman, Choctaw, Newcastle, and surrounding. Carports & Metal Buildings. Oklahoma City, Midwest City, Del City, Moore, Norman, Choctaw, Newcastle, and surrounding. Our carports are designed and built with the following specifications. 3" x 3" 14 gauge square post embedded in 12"x30" concrete piers. 4"x4" 11 gauge square post will be used if needed. 6"-8" 14 gauge cee purlin frame spaced every 4'. 26-gauge siliconized polyester coated sheet metal roof. 40 year manufacture coating warranty on sheet metal. Aluminum, Steel, Rhino, and Twin Vee available. Over 15 colors to choose from. Trim, gutter and downspouts available. 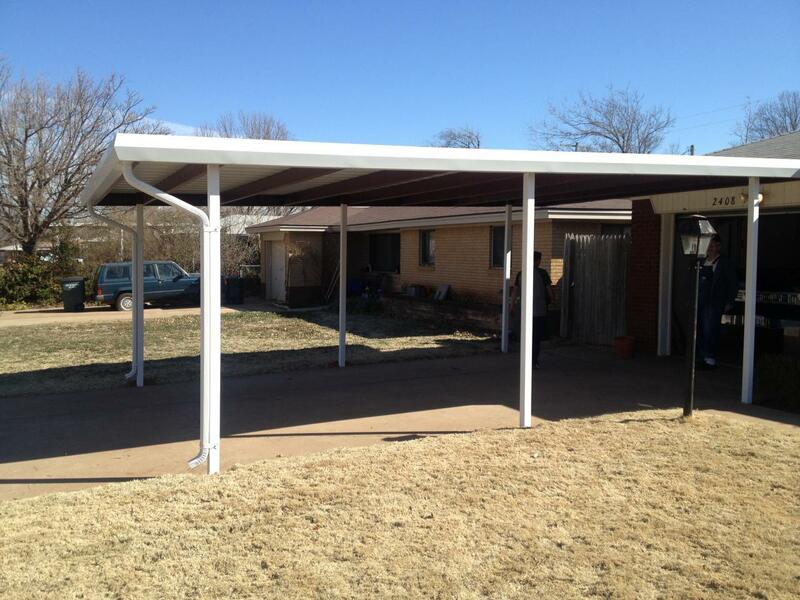 Custom carport designs and sizes. Attached or free standing. Permits and engineer stamped drawings can be provided. Metal roof replacement is available for damage from wind, hail, or rust. Areas serviced include: Oklahoma City, Midwest City, Del City, Moore, Norman, Choctaw, Harrah, Guthrie, Newcastle, and surrounding. 2-year labor and leak warranty. We provide commercial or residential structures. Car lot or dealership covered parking is one of our specialties. Residential carports, patio covers, boat or RV cover and or storage. Our service area is within an hour drive from OKC. Including Yukon, Mustang, Moore, Norman, Oklahoma City, Edmond, Midwest City, Choctaw, Harrah, and surrounding.